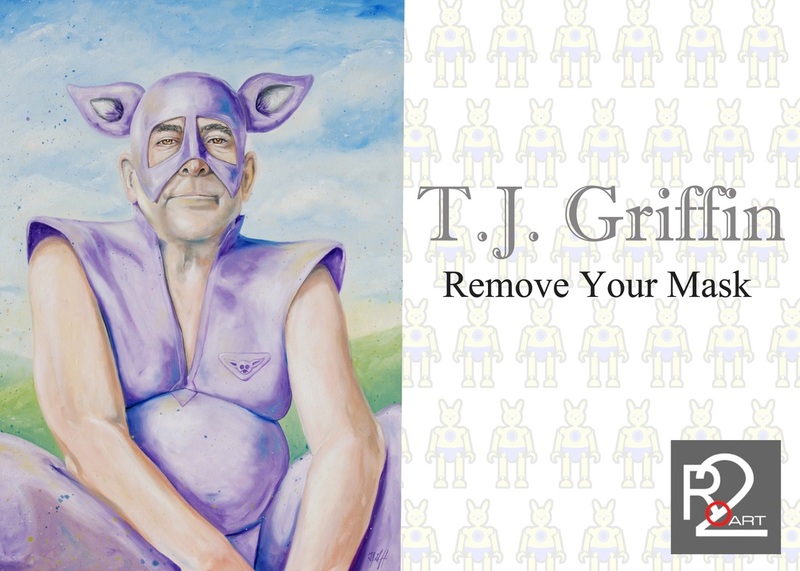 Ro2 Art is excited to present Remove Your Mask, a solo exhibition by artist TJ Griffin. The opening reception will take place Saturday, March 24, from 7 to 10pm, and will run through April 30, 2012 . The exhibition will take place at Ro2 Art's Downtown space, located at 110 N. Akard Street, between Main and Elm, on the ground floor of the historic Kirby Building. 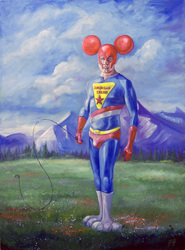 TJ Griffin presents new paintings and work in sculpture and costume, exploring heroes existing among us in everyday society. 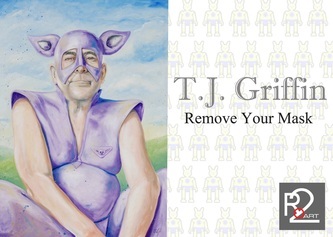 Originally from the small town of Union City Oklahoma, TJ Griffin moved to the Dallas area in 2004. His work has been shown since 2007. In 2008 he received the DeGolyer Awards to Artists grant from the Dallas Museum of Art. TJ graduated with Bachelors in Art and Performance from the University of Texas at Dallas in 2008, and continued on to receive his MFA in 2010. TJ had his first solo show in 2010 at the University of Texas at Dallas. While working on his PhD in Aesthetic Studies at The University of Texas Dallas, he has begun doing research on identity, superheroes, and masks. He has been accepted into numerous juried shows, including The Rising Eyes of Texas in Rockport, Texas, where he received the second place award. In 2011, his work was accepted into the juried art expo at 500x gallery in Dallas, Texas and the annual No Dead Artists exhibit, and a national juried show at Jonathan Ferrara Gallery in New Orleans, LA. 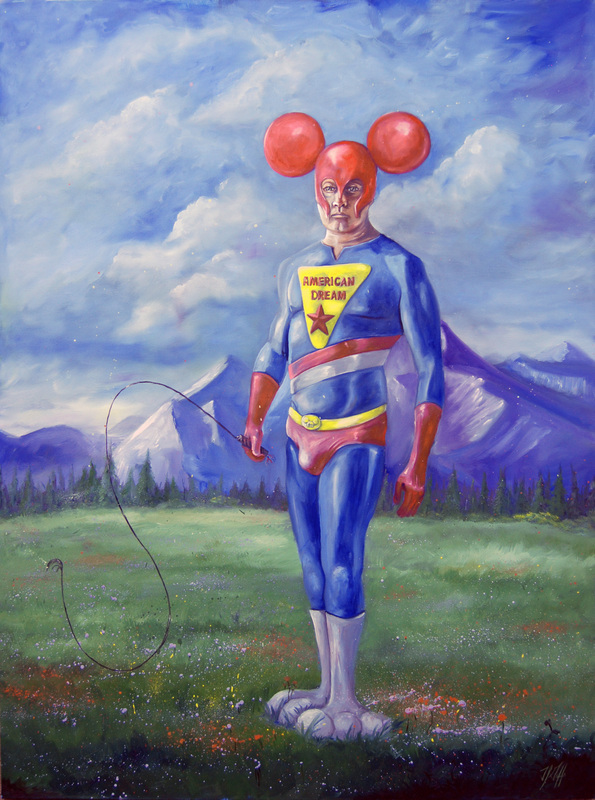 His work was featured in three group shows with Ro2 Art in 2011. “I believe we, as humans, wear masks everyday. We become who we need to be in different situations in life. We sometime conceal parts of ourselves in order to fit in. I use this idea of hidden identity in my artwork in a somewhat ridiculous creepy way, contrasting humor with more serious emotions. Working with photographs from mostly mature men, I create my own heroes. When men mature in life, their knowledge and experience become more evident and distinct in their faces and bodies; this allows me to take from their apparent narrative to create my own. Working from personal and found photography, I try and let the emotional expressions and posture of the figures influence the character and narrative of the hero." Mother-and-son partners Susan Roth Romans and Jordan Roth operate Ro2 Art, a full-service gallery and consultancy with spaces in the Uptown and Downtown areas of Dallas, working with a diverse group of contemporary artists, most with ties to the North Texas Region. At present, Ro2 focuses on the exhibition and sale of work in all visual media, through a fine art gallery space in the West Village of Uptown Dallas and a progressive, intimate gallery in the historic Kirby Building in Downtown Dallas, Ro2 Art is a member of the Dallas Art Dealers Association, The Uptown Association, and was named “Best Art Gallery” by The Dallas Observer. All works will be on view March 24, 2012 through April 30, 2012. Please join us for the opening reception Saturday, March 24 from 7 to 10pm at Ro2 Art Downtown, located at 110 N. Akard Street, between Main and Elm. For more information, visit www.Ro2art.com or call Jordan Roth at (214) 803-9575.